This diybio artwork is for the community. Medium-resolution files in web-friendly formats are embedded below, and links to high-resolution editable pdfs (these can be edited in an vector-editor program such as Adobe Illustrator). 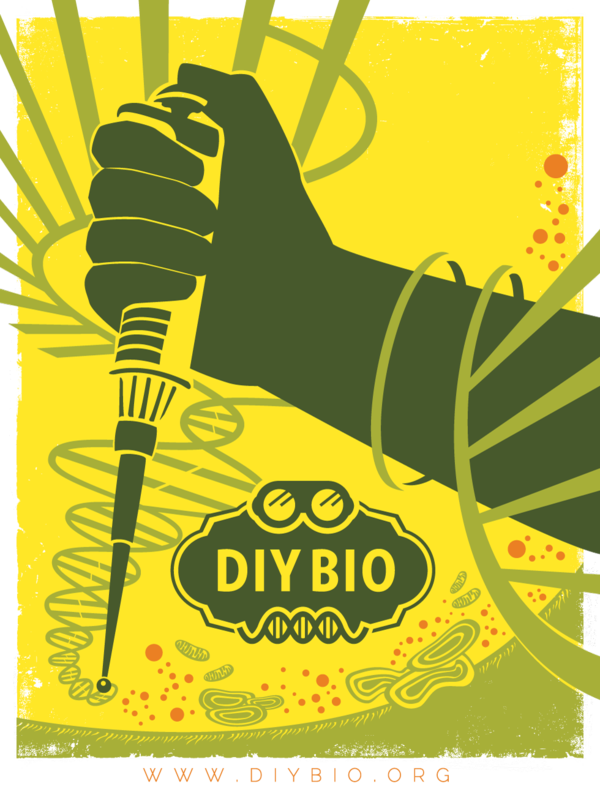 The diybio logo & “diybio revolution” poster are licensed under a Creative Commons Attribution-ShareAlike 3.0 Unported License – go forth & multiply. (credit to diybio.org).